This is the first thing that you must do before other people can enjoy your PDF file. You have to make sure that you write a high quality PDF file because people want to read and share only good quality content. In order to write a file, you can use Microsoft Word or some other document creation tool. When your document is ready, you are able to save it in PDF format. When saving your file, you should protect it so nobody can change the content of your PDF file without your permission. This step is very important, especially if you want to make your file searchable. You have to upload your PDF file on your website if you want to share your file online to other people. Alternatively, you can also share your file on a PDF sharing site. There are many PDF sharing sites that are available on the Internet. Just find the best one for your needs by using a search engine. If you want to use your PDF document to bring more traffic to your site, you should download the file to your own site or for example to your WordPress blog. 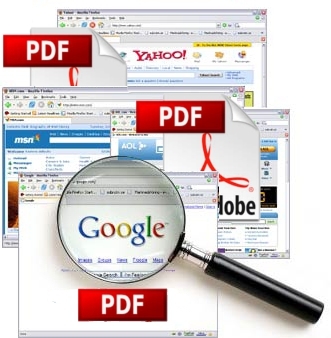 If you want to make your PDF searchable, you should submit your PDF file to the PDF Google submit URL site. You can submit your URL through the Google Webmaster Tools. There is a great tool that you can use to submit your URL to Google. This allows search engine to index your file easily. To guarantee a wide spread of your document, you need to do a great SEO campaign for promoting your PDF file on the search engine. There are many SEO PDF tips that you can use for promoting your file. This step is very important to allow your file to reach the first page of Google. By following these steps you can make your file searchable on the search engines. These simple steps can be used to share your files to other people who search PDF files on the Internet. 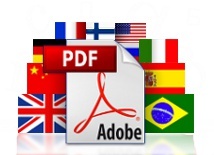 Make your PDF document multilingual easily. Multilizer PDF Translator translates PDF documents automatically to 27 languages. This easy-to-use translator helps both companies and individuals to reach their international audiences. Learn more. Previous Previous post: Languages Are Evolving – Don’t be scared of it!